Lyme disease, which is often misspelled as “Lime” or “Lymes” is an inflammatory infection that spreads to animals and humans through tick bites. With just one bite, ticks can transmit disease in as little as 3 hours. The number of ticks found in Canada and the number of different tick species now living in Canada are growing and spreading. Therefore it stands to reason that the risk of pets and humans getting tick transmitted diseases is also much higher. Protecting dogs from ticks and the diseases they carry is more important now than ever. Climate change is real and the increased number of ticks is just further proof of global warming especially in Canada. Lyme disease is actually caused by borrelia bacteria, which commonly infects animals like birds, mice, other small rodents, and deer. Ticks pick up the bacteria by biting infected animals, and then pass it on to other animals, including human hosts. There are many strains or genospecies of borrelia that cause Lyme disease (borreliosis) in humans just as there are many strains of the flu virus that cause flu symptoms in humans, with some strains more virulent than others. As with other illnesses, it’s possible to be very ill and outwardly look fine. Very low energy levels, neurologic and brain dysfunction don’t often change a person’s appearance. Family and friends are sometimes hard on victims simply because they don’t look sick. Lyme disease is often misdiagnosed in Canada both in pets and humans. IF you suspect you might be suffering from Lyme disease see your family physician for a proper diagnostic check-up. IF you suspect your pets might have Lyme disease call us at 780-352-7006 so we can examine and test them for it. IF you find a tick on your pets bring it into our clinic and we will send it off to the government for testing for FREE. Lyme disease is on the rise in Canada. 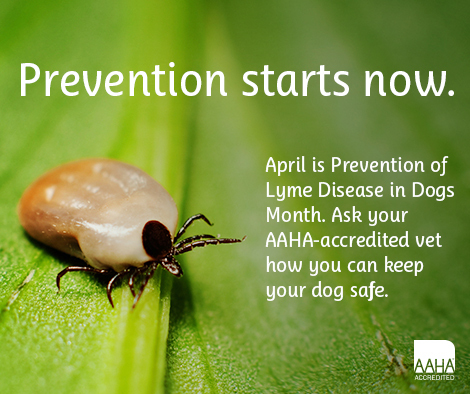 Decrease your risk of infection by learning more about Lyme disease and taking preventative action for you and your pets.